The place was beginning to fill up with martial artists. They came from all parts of the nation and all over the world. To celebrate fifty years of dedication and service since the founding of our martial arts fraternity in 1966 by John Keehan. To meet, once again in fellowship and brotherhood and honor the memory of our masters, whose knowledge we preserve and whose example to strive to follow. In the forefront of these is Grandmaster Lawrence Day, who kept the flame alive after the Dojo War that made John Keehan, Count Dante, an anathema to the martial arts. He had been there, that night, when his Sensei Jim Koncevic was killed. Dante had called several associates to join him in confronting the master of another Dojo in Chicago. Among them were Dr. Mike Felkoff and Dr. Lawrence Day. On April 24, 1970, Ken Knudson got a call from a friend, Jim Koncevic. Koncevic explained that Keehan wanted to visit a rival dojo to settle a beef with a member. Knudson was still competing and training, so he took a pass, declaring a potential rumble “kids stuff.” One of those who was selected for this crew was Lawrence Day. Felkoff said he was only called in to act as a mediator. Dante called him and said that that he had an invitation to go over to a rival martial arts school and fight it out with the head man. Felkoff wished him good luck. Dante replied by saying there was a problem, that the other master was going to bring 25-30 of his guys. He explained that because Felkoff was “known to them” even though he wasn’t a member of the BDFS and a lot of the guys didn’t like him, that he was nonetheless respected and that both sides would like someone to come along who could be an intermediary; to see that no one got drastically hurt, and they keep it off the streets when Dante and the head man mixed it up. Felkoff agreed. 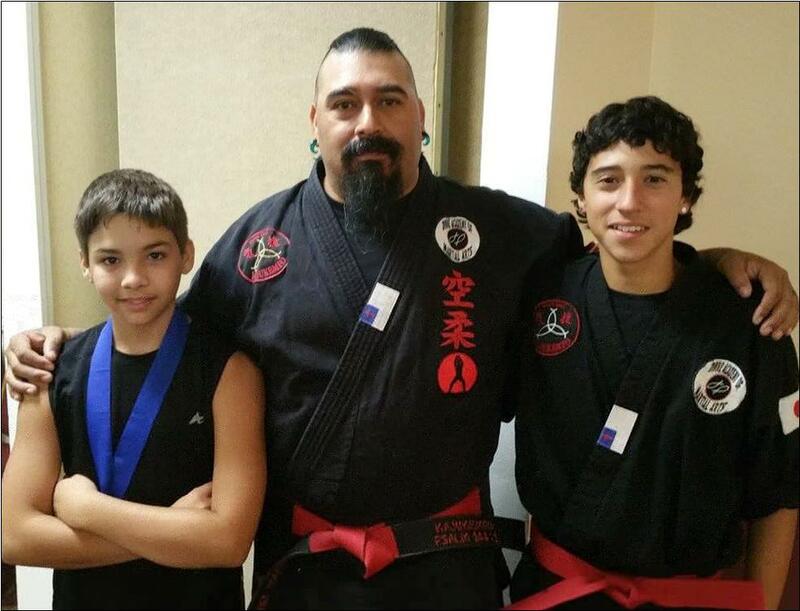 When Keehan arrived at Koncevic’s dojo, he was dismayed to see that Koncevic had called in three of his younger students to join them. Still, he led the group to the rival school. Felkoff drove in his own vehicle at the appointed time. While he was parking across the street, Dante and his crew were just getting out of their car. By the time they reached the door, he had run across the street and caught up with them. He fell in line behind the last guy. Dante knocks on the door displaying an Indiana Sheriff’s badge and tells them to “Open up, it’s the police.” Someone inside opened the door. Keehan had told the whole school that he was coming there to bust up the place. Someone from the school called the police when Dante arrived. Apparently the police thought it was a prank call. Felkoff recalls that they were armed with Chinese weapons. Somebody, it’s unclear who, made the first move, and accounts disagree about what happened after that. According to Black Belt magazine one of Keehan’s men struck one of the defenders in the eye with a nunchaku, a Black Belt Times article says that Keehan himself attacked the instructor, lacerating his right eye badly enough that it required surgery at Belmont Community Hospital. Felkoff reported that a number of people attacked him with weapons.” And that didn’t work out too well for them." He said there were 30-35 people in the school, and more than half of them were running for the back door. It was a panic. In every version of the story, Koncevic was ready to fight. According to the Tribune he struck one opponent from behind and began punching him. His adversary grabbed a sword off the wall and stabbed Koncevic while trying to block a blow. When Felkoff ran out, the police cars were pulling up. He hears “Stop or I’ll shoot!” from one of the officers and he slowed right down. He saw Konsevic’s body outside now, in a pool of blood. Jim Koncevic, age 26, died on the sidewalk. According to the Tribune, the man who stabbed him was arrested and charged with murder and was granted bond of $2,500, he was released on payment of $250, or 10 percent of the total bond. The judge said he ordered the low bond because circumstances indicated that he probably acted in self-defense. Bond was set at $15,000 for John Keehan who was charged with aggravated battery, impersonating a police officer and criminal damage to property. Keehan, who said he had recently changed his name legally to Count Dante, had previously been placed on two year probation in 1965 after he was convicted of the attempted arson of another, different, rival karate school. All charges were eventually dropped but the event made Dante a pariah among martial artists. In May 1975, at age 34 Keehan passed away unexpectedly. According to urban legend the death touch was allegedly administered to him over his flamboyant transgressions and associations regarding Black Dragon ties to the Chicago and Japanese Mafia. Nonetheless, as legend goes, with his death the invitation to fight in the Kumite went to another protégé of Senzo Tanaka and student of Count Dante, Frank Dux. That adventure became the basis of the 1988 cult classic martial arts film based on true events in the life of BDFS original member Frank Dux - Bloodsport. Grandmaster Felkoff later served as acting president of the BDFS. 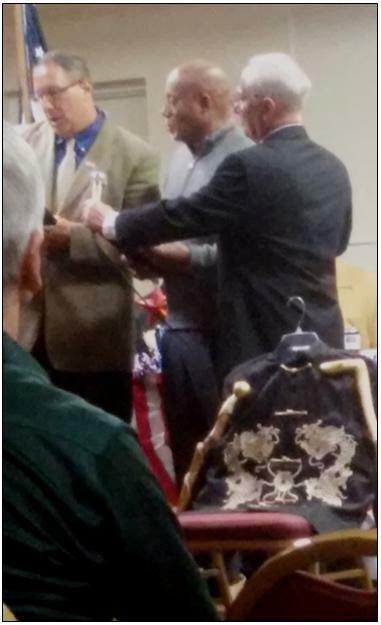 He and Dr. Day presented Frank Dux with a trophy commemorating his victory in the Kumite in 1975. Dr. Felkoff passed away in 2016. Dr. Day went to the mountain in 2012, Year of the Dragon. That year he hosted the first annual Gathering of Dragons in his hometown, Lexington KY. Reuniting many old friends and new comrades in the spirit of martial arts fellowship. 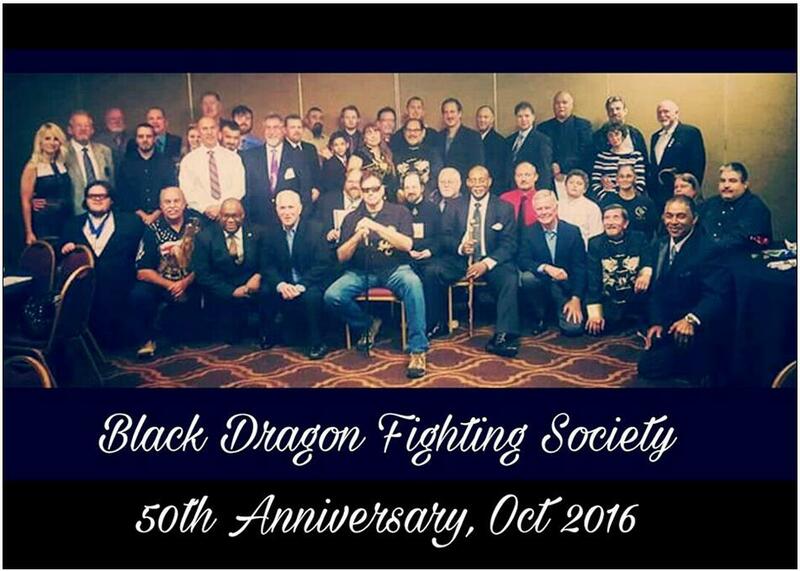 This was our fifth such reunion, with banquet, tournament and seminars, celebrating the 50th anniversary of the founding of the Official Black Dragon Fighting Society in 1966 by John Keehan. 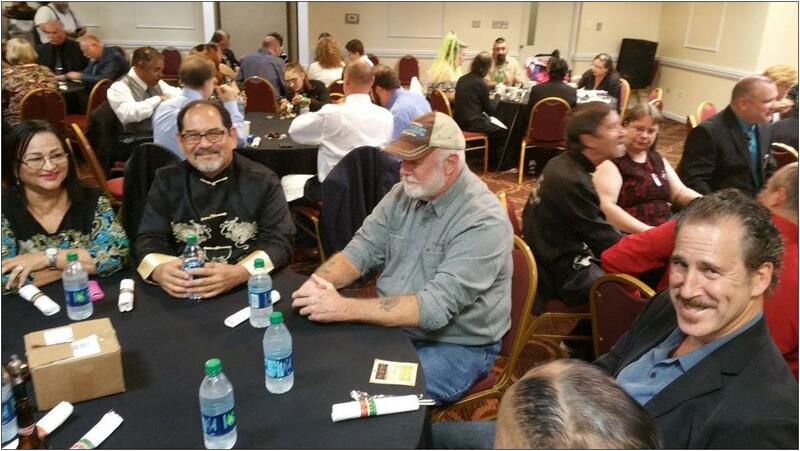 On the first night we held the Military Honors and Awards Ceremony, hosted since 911 by Dr. Day’s brother Doug Day, a well known promoter of Mixed Martial Arts events in Kentucky. Seven veterans were honored, including Grandmaster Don Miskel who was presented with framed Letters of Commendation and gratitude from members of the Kentucky state legislature and awarded the rank of honorary Kentucky Colonel by the governor. And, former captain Dr. Ed Carlson from Core Health, who came from Sarasota Fl to attend, for his service and time-in-grade. This year, all the veterans in the room received consecrated stars from flags retired from duty as a commemoration of their participation. This event has honored more than 750 active duty, retired and deceased veterans for their sacrifice and service over the past fifteen years and is its inspirational patriotic program and message never fail to inspire all those who hear it. This year, an empty chair, with one of Dr. Day’s uniforms draped over its shoulders and his canes, the symbol of his office, leaning alongside, sitting on a field of blue with white stars symbolized his presence and our great respect and devotion to him and our pledge to carry on his teachings and be worthy of the friendship he so graciously bestowed on us all. He was a great man and we shall not see his like again. And what he taught us is that fighting is not the answer. He trained people in Fa Jing, the use of Qi, the life-force that permeates and flows through and around all things. For every death touch technique he taught, he also taught the antidote, as demonstrated in his book, Poison Hand. Thus, his students became healers and physicians as well as men who could fight like ten tigers. Because they knew that with the power of life and death comes great responsibility. So that even though they could kill, they chose not to. This is called mercy. For all life is precious, nor can any be replaced. That is why we always have the Military Honors and Awards Ceremony at our Gatherings, to remember those who sacrificed their lives so that we could live in freedom and to remember the lessons they have taught us and to honor their memory so we never forget. The Tournament began at 8:00 A.M with Competitor Registration for all divisions. At 10:00 A.M the Black Belt meeting for anyone who had questions about tournament divisions and rules was held and Referee ring assignments were handed out. The Official Bow-In was at 10:45, followed by the presentation of Colors and National Anthem. Then the Demonstration of Rules, Point fights for under Black Belt and children under 18 years Black Belt rules for fights were controlled, contact but no knockouts. The tournament was standard, meaning multiple age and rank divisions in kata and weapons; except for the number of fighting divisions. All rounds were continuous (1.5 minutes) with No Stopping for Points. Points were calculated by corner judges with counters; who called for the winner at the end of each round, with the Referee having the final vote if tied. The actual tournament competition began at 11:00 A.M. The participants were vying for special BDFS custom 50th Anniversary medals for First, Second and Third place in each division, ribbon color denoting placement in the event. That evening twenty-seven awards were presented to Members in Good Standing. 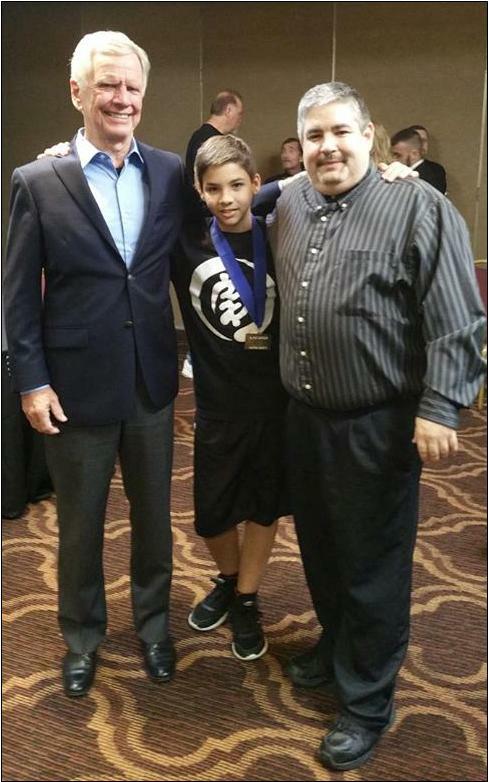 Grandmasters Emanuel Rodriguez and Grandmaster Wes Ruiz were promoted to 9th Dan in their respective systems. 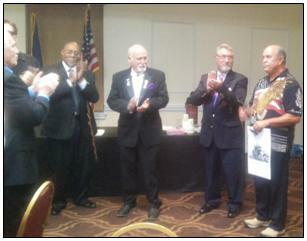 Doug Day was presented with a certificate of appreciation for his work honoring veterans. Dan Ryan was awarded Master Certification in Shun Shen Tao. Ashida Kim was awarded 10th Dan for his methods of teaching the only non-violent technique that will enable anyone to overcome any foe, regardless of size, physical strength or skill, without physical contact! How to fight or disappear. Mugei Mumei no Jitsu, meaning "No Name, No Art." The name is in keeping with the Ninja tradition of not revealing your style or system so that the enemy would not know what to expect. This single, most effective trick of making the enemy blink so you can duck out of sight and magically vanish into the night is the most secret and dreaded weapon in the forbidden Ninja arsenal. It is the hallmark of the Art of Invisibility, Ninjitsu. Grandmaster Kim was presented with the Ceremonial Grandmaster's Red Belt, signifying his position of rank, authority and time-in-grade in the international martial arts community. Seminars conducted by our world renowned Grand Masters teaching secrets of the arts not taught even to the general martial arts population began at 8:00 A.M. Due to the content of some of these seminars, the seminar instructor or event coordinator had the right to refuse admittance to certain programs however, this was NOT the rule of thumb for all seminars. Secrets in the wrong hands are deadly and the BDFS will not be held responsible for anyone using these techniques inappropriately. Certificates were awarded for all seminars attended. 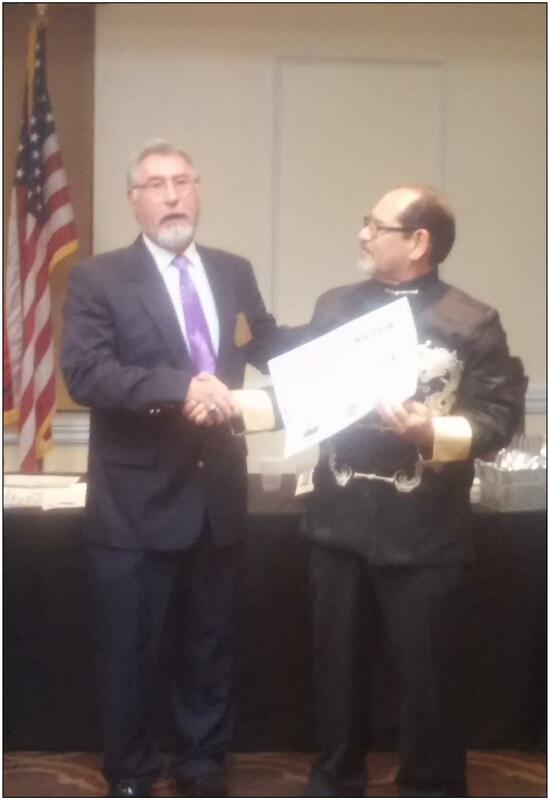 "This weekend’s event at the Black Dragon Fighting Society’s (BDFS) 50th Anniversary Conference held at Lexington, KY that was sponsored by Senior Grand Master Len G. Kirschbaum was breath takingly AWESOME! 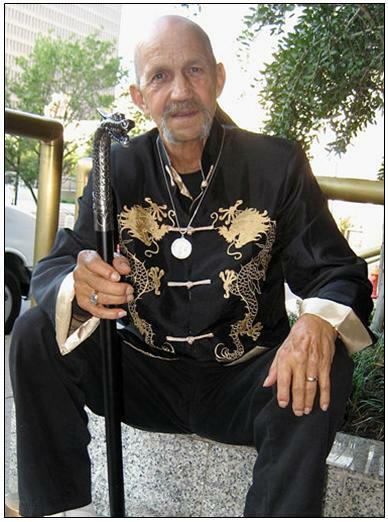 Growing up here in Chicago, IL in the 1970’s and 1980’s, I was privy to all the rumors and talents of the famous and infamous “Black Dragon Fighting Society!” As a wannabe young martial artist myself, I often aspired to study, learn from, and be in the company of such notable legends. As a student of SGM Len G. Kirschbaum, I had the privilege of being invited to join and be a part of this fraternal brotherhood of martial artists, thus realizing my dream forty plus years later from first learning of their existence. "Myself being an eternal “White Belt” of the martial arts, I jumped at the chance to participate in this gathering of some of the most knowledgeable practitioners of the martial sciences ever assembled in the United States. Along with my Kwan Jang Nim SGM Len G. Kirschbaum and the founder of the International Original Taekwon-Do Federation, I had the opportunity to meet and train with a host of Grand Masters, Masters, Instructors, and fellow students, from whom I’ve learned a great deal. Of honorable mention with whom I participated in their instructions were GM Ashida Kim (Ninjutsu) from whom I’ve purchased and read countless of his books, GM Joe Williams (Karate) who expounded on the true meaning of kata as a learning tool, GM Soto with his street combat effectiveness, Professor Emanuel Rodriguez (Kajukempo) sharing his brutally effective system of self-defense, GM Donald Miskel (Head of Family of the BDFS/IFAA) with his wisdom and kind heart, Steve Coats for teaching me what the real meaning of “Indomitable Spirit,” one of the five tenants of Taekwon-Do means, and so many other notables to numerous to mention in this post. If I missed anyone there were too many people to list here, and too much knowledge to gain in one weekend. As a caveat on the opening ceremonies of this wonderful convocation, other veterans and I were honored by the Board of Directors of the Original Black Dragons Fighting Society. Summing this post up, I was humbled as a White Belt in training with all the knowledge that was shared this weekend." Click HERE for Video of Ashida Kim in Action! Also presenting this year was Master Sven Ackermann from The Netherlands. His program was Knife Fighting. Master Sven Ackerman was born in Landau/Palatina, Germany in 1978. His martial art career started at the early age of 6 years with Judo. After many years of training and competitions, he decided to learn further systems of martial arts, amongst others he learned more about Ninjitsu, Ju-jutsu and Aikido as well as the handling of wood and metal weapons in different schools of combat sport. His training was intensified when his trainer offered him a position as Uchi-Deshi in a French Dojo. In the year 2007 Sensei Ackermann published his first book with the title “Fighting on the Ground” (Published at Leffler Media). Since that time he has been co-author of many books about martial arts as well as lots of articles about several topics around combat sport. In the same year he founded the Bushido-Circel of Germany together with several other Budo masters. Their aim is to keep the old traditions of martial art. Since 2008 Sensei Ackermann also works as an instructor for self-defense for both men and women at the adult education centre in Landau/Palatina. 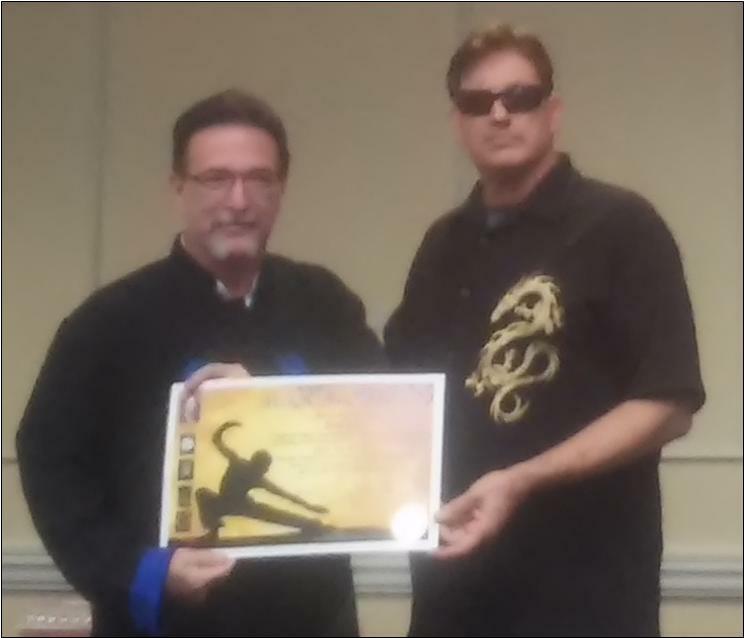 Sensei Ackermann has been recognized for his achievements in the Martial Arts Masters Book of the Year 2010 as a Martial Arts Master of the 21st Century. In 2011 he produced an instructional video, Essentials of Koga Ryu Ninjitsu and was promoted to Godan, Black Belt 5th Degree. Two years later he produced Essentials II. He is the designated official representative of the IFAA/OBDFS in Germany. Click HERE for Video of Master Sven Ackermann Training Ground Techniques! 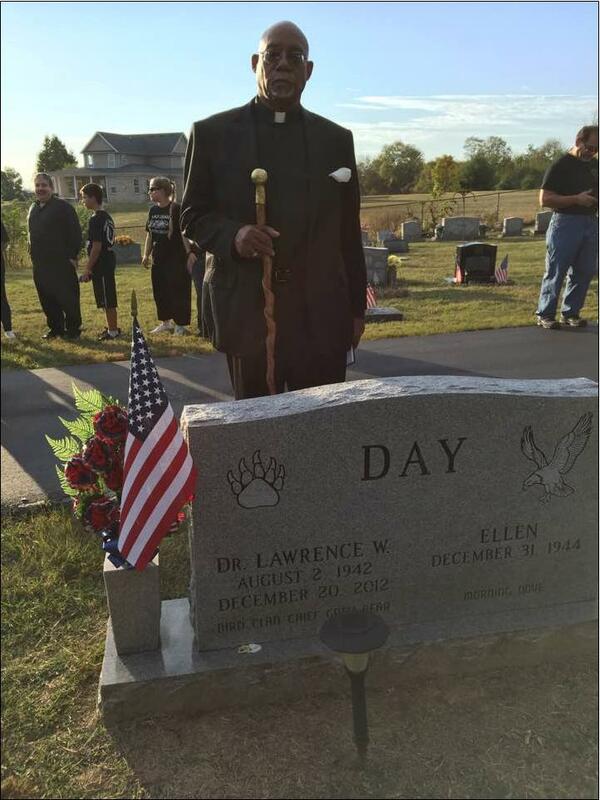 Following the day's seminars and training, the assembled members and family made a pilgrimage to Dr. Lawrence Day's gravesite, to once again dedicate ourselves to the principles and knowledge, the kindness and friendship that he shared with us. Head of Family Rev. Dr. Don Miskel spoke eloquently about our lineage and heritage and the direction of our martial arts fellowship in the future. It was a humbling and deeply moving experience. When we first reunited in 2012, and before when we met informally, because Dr. Day organized that event by himself, we had a meeting to determine how much of an influence on the reputation of our organization the legend of the Dojo Wars was to have on our direction. Certainly it could not be denied. Nor was it something that one could boast about. So, we resolved to make sure that never happened again. We made a rule that none of our members would ever strike the first blow, but would act only in self defense. Sometimes we use a challenge as a test of a candidate’s self control. When someone pays $150 to apply for membership that that money goes toward a criminal and background check. Just as in the early days, you must be a Black Belt even to be considered. We have asked several members to return their membership certification because of bad conduct even if they pass this first test. In the tradition of our society, we have “turned our backs on them.” We cannot and do not seek to control their behavior. But, we can control our interaction with it. If we refuse to participate, then there is no battle. The “injured party” is allowed to ventilate his anger and frustration. When that is gone, the fight, his inner conflict, is dissipated. Because all wars are about stamina and breath control. No one knows why Dante took his crew over to the other rival Dojo. Ken Knudson said Koncevic told him, “You know John, probably about some broad.” Others say that Dante was extorting money from all the schools who would knuckle under to him for having a franchise in the Midwestern region, of which he felt he had control because Robert Trias had appointed him to that position. Still others write it off to the fact that in those days the gangs ruled the city. If you didn’t have a gang you were just out of luck. That was then, this is now. We learned a valuable lesson and we changed. We have nothing to fight about because we have nothing to prove. But, we understand that there are stages of development that many people go through where they think it is clever or smart to be a bully. 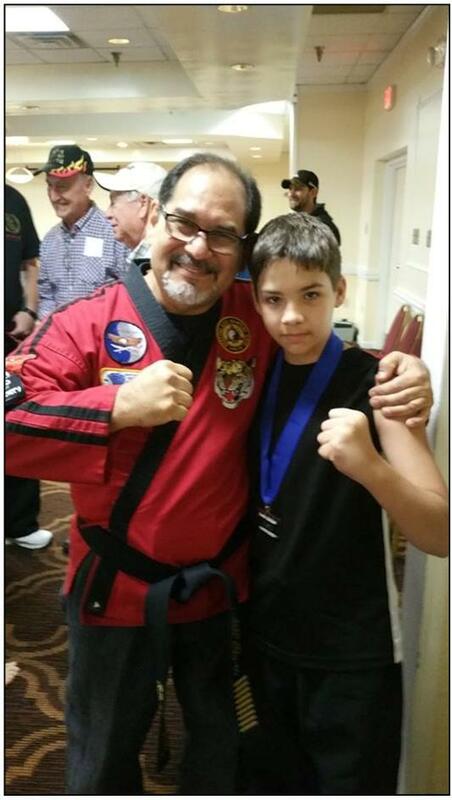 We have an entire program developed by Grandmaster Jay Blanton based on how to deal with bullying, based on his personal experience. This, and our Mentoring Program and Visiting Veterans Program are just as important to us as our international Kumite events. 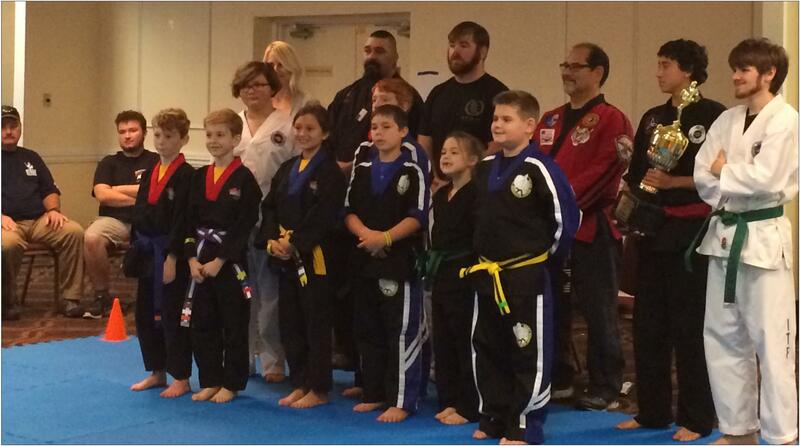 All are designed and intended to help other people through the martial arts. From self-defense to cage matches, we have always offered an arena for young men to test themselves. To find out who is the best of the best. But, time and age soon account for lightning reflexes and stamina. Most professional boxers have only a five year ring career. In martial arts, we learn to heal these injuries and stay fit and live a long and healthy life. That doesn't mean we want to injure ourselves again and always be taking therapy. The life of a patient does not become a warrior. And, that is what we are. Because we know that the true battle is within ourselves. We strive every day, in every way, to be better men so that we can set a good example for all. Grandmaster Jay Blanton, for instance, could not attend this year because as head of our Anti-Bullying Program he is usually booked up for appearances. He has a radio interview on the Dawn Reese Show in Clearwater Wednesday at 7:30 pm and next week, October 28th, he has a music video shoot with Isa Shock Harris in Largo, Florida and then on the 29th he has a St. Jude fund raiser in Kissimmee doing a Anti-Bullying Program and work with the models (they are having a fashion show) doing the Shen Technique with them to help with their jitters. Then November 6th has an event with Channel helping the Veterans raising money working with them on the YES therapy for their PTSD and another Veterans event November12th with Dawn Reese again, helping them with PTSD. She has also set up some school presentations for Grandmaster Jay, a testament to her faith and confidence and trust in him to helping defeat the scourge of bullying. We have been accused of not being true martial artists because they can show no link to a Japanese lineage. This is, of course, absurd. Proof of such lineage has been provided many times, but it is always disqualified for some arbitrary reason. In psychology it is called “denial,” meaning that the patient refuses to accept any evidence that does not reflect his own warped perspective on the world. No amount of proof sufficient to fill such a void. Besides, most of our roots come from China, the birthplace of many Japanese systems, and have been verified and well documented many times. There will always be critics and people jealous of the success of others. No matter how you try it is very difficult to reason with those who refuse to see that their behavior as bullies is unacceptable. But, to those for whom God is money, there is cash to be made in advertising and he more “hits” you have on your website, the more you can charge your clients for ads that might be seen by a prospective buyer of their wares. One of the ways to do this is controversy, online bullying. Picking a fight. Safe behind a keyboard to tell lies and slander the enemies of their choosing. Usually innocent. That is why some of the Black Dragon brothers went to visit Don Roley, to make sure no one got hurt. And, no one did. Even though some were insulted to their face, as they have been for years online. To let him know that we are watching him and ignoring his insults and taunts, just like Ron Collins. But, some of us are getting a little tired of him getting away with his online bullying. There have been many books and internet articles about how this is a constant problem on the internet and how some users have even been driven to commit suicide and their killers still boast of it. Lesser men would have defended their honor, or their colors. But, these are men of peace who can fight like ten tigers. We do not believe that might makes right. We believe that martial arts are for self-defense ONLY and should not be used to intimidate other martial artists like Count Dante did. Our members “beat him at his own game.” While he claimed to be ready to meet Ron Collins, he was not prepared to engage any of the brothers. In the shouting match he pretended not to know who he was speaking to even though he was told it was a Black Dragon who was there to represent. When he insulted another, he was suddenly face-to-face with a man he had demeaned and insulted many times online and realized his imminent peril and flinched, he was leaning back, off balance. To a true warrior, that is all it takes. And, he was facing a man who trains warriors. No one likes to be called a fake and a fraud to their face. Not many men will stand for it. Ron Collins, a vendor at the Gathering who has long been slandered by Don Roley, came to fight. Roley tried to turn it into a “sparring match.” That was a stalling tactic. In his "blog challenge" he said nothing about "sparring." Then, when he was given a chance to set the rules of this match. He had more time. When he was asked if he thought the outcome of the match would change his behavior in any positive way or if he would just continue his crude antics of trying to be a “shock jock” online, insulting people and then not showing up for matches he claimed to have made. He replied he would continue, regardless of the outcome. Thereby "making the prize worthless." He challenged Ron Collins online to come and face him. Ron came. That is all that is required for standing up to a bully. You don’t always get to hit them. That was the test. As you can see, maturity won out. That is what people want to see, that is leadership. That is the blow not struck. Whining at the last minute about his wife’s illness makes Roley a pitiful figure, hiding behind the mask of sympathy, saying that he “was not going to do anything to get himself arrested because she needed him.” He should have thought of that before he started shooting off his mouth. Some people consider it to be “hiding behind a woman’s skirt.” Others feel that taking that into consideration shows mercy. It also proves he was deliberately "baiting" and "egging on" the incident in the hopes someone would lash out and criminal charges could be filed. Because, you see, that is what a bully wants, for someone to "put him in his place," so he can claim he is a victim. See, when you are mature, when you have learned some of the lessons of life, you know what is important. And, you don’t go around making enemies of people you know nothing about. Because sometimes, when people see an injustice, they take it upon themselves to rectify the situation. Roley is not the authority on what is legitimate and what is not, he just thinks he is. With his tiny band of cronies who feed on each other’s anger and angst, using tired old debating tricks, he makes life miserable for others because his life is miserable and he wants attention so he can whine about it. That is why no blood was spilled in Lexington, because we had resolved that childish arguments such as this are not sufficient cause to use force. That is what we learned from Count Dante. That is what we were taught by Lawrence Day. “When you know you can break the brick, you no longer need to break the brick.” Roley has made lots of enemies, one of the them will get him sooner or later. And, whoever does, will pay the penalty. There are some people it is just not a good idea to mess with. However, largely because of Count Dante’s “Dojo Wars” in the sixties, the police no longer turn a blind eye to confrontations between rival martial arts schools. See, it’s not hard to be mean. You just have to be scared all the time and lashing out at innocent people because you are angry, mostly at yourself. What is hard is to be kind, to have compassion and mercy for those who would attack you. Some of the upper echelon were not informed about this altercation until long after it had occurred. Had they known beforehand, the action would have been thought foolhardy and forbidden by the Head of Family, who ultimately decides who fights and who learns to negotiate. That being said, we have always had a reputation for defending our colors. Those who participated in the 2016 Lexington affair were reprimanded by the Head of Family, BDFS Even those at the highest ranks. This is not the sort of behavior that is sanctioned by our fellowship. If someone treats you badly, just remember that there is something wrong with them, not you. Healthy people do not go around hurting other human beings. The head of family along with several other of our ranking council are ministers and/or pastors and serve as spiritual leaders and advisors to the leadership and the rank and file of the organization. They along with other enlightened individuals guide the direction and offer the vision that leads our organization today. We have over the years gone from childhood and adolescence to responsible adulthood. Our fellowship must stand behind this act and even be proud of it. Because this time, non-violence prevailed. We are a brotherhood based on merit. We don’t care about your color, religion, gender, age, or political affiliation or personal problems. Only your martial arts skills. This is a confirmation that we have become better men, the true goal of all martial arts. And further, that we are better men than those who challenge us or attack us from the safety of the internet. We are here to help each other, not kill. As human beings, we have a higher calling. As John Kennedy said, "We do the hard things, not because we want to, but because they must be done." That is what makes us men of integrity. Blood makes us related, loyalty makes us family. One for all, All for one.